To get to Emirgan Park, you can easily catch a bus along the sea road from Besiktas or Taksim, or take the metro to 4. Levent and catch a bus from there. There’s also a ferry to and from Istinye, within walking distance of the park. If the ferry times fit with your schedule, you can use this to avoid getting stuck in Istanbul traffic and to get a mini Bosphorus cruise at the same time! The event is free and open to the public. I’d recommend packing along a little snack or purchasing one from vendors near the park and enjoying a picnic with a view of the grounds and the Bosphorus. If you’re there at sunset, there are also beautiful views of the bridges lit up near the water. 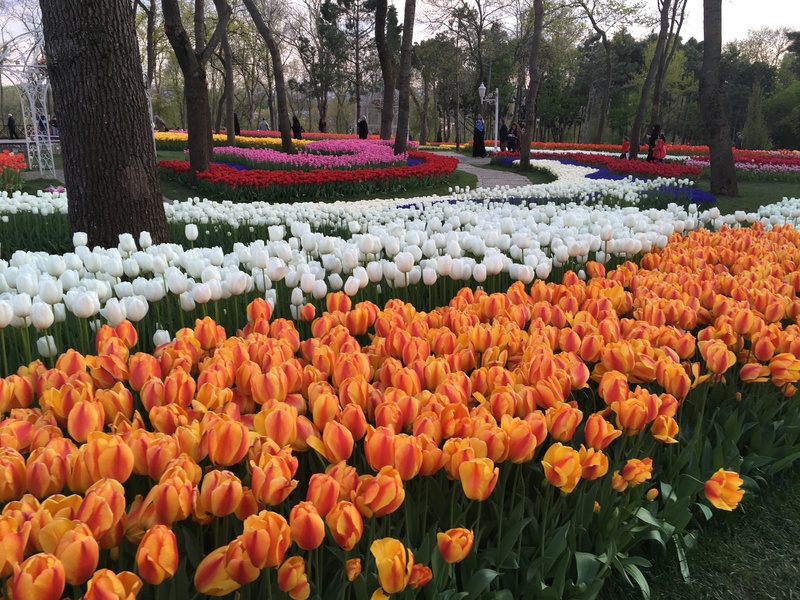 >> You can see other photos from my visit to the Tulip Festival at Emirgan Park and Gulhane Park here. >> For more information on visiting Istanbul, check out my Turkey Destination Guide.